The New Zealand Black Sox softball team with coach Mark Sorenson (third from left) next to captain Nathan Nukunuku (fourth from left). The veteran infielder - first selected for New Zealand in 1999 - is among a select band of five players with four gold medals for the Black Sox, who have won seven world titles. 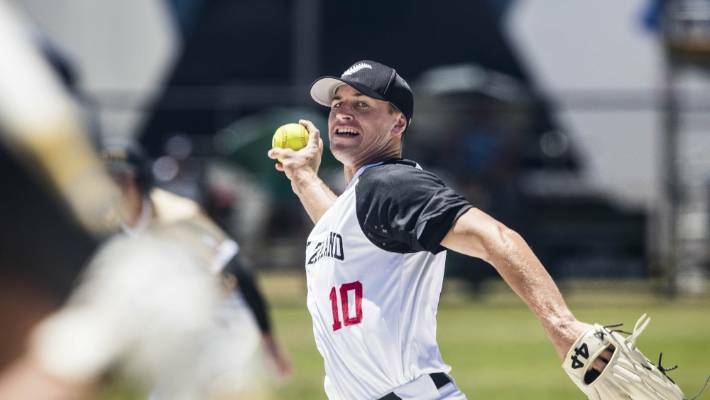 Head coach Mark Sorenson - another four-time world champion - said Nukunuku's contribution to New Zealand softball and to the Black Sox had been immense and he remained a clearcut choice. Black Sox captain Nathan Nukunuku at bat. "He's still got the competitive drive to want to still play at that level and he's still one of our very best players,. "We are blessed to have such a strong leader, and someone the group want to follow. It's Nathan's team - it has been for a couple of years - he's a great leader that they all trust." Black Sox pitcher Daniel Chapman has been selected for his first senior world softball championship team. Auckland pitcher Daniel Chapman and Canterbury outfielder Jackson Watt - both 21 - are the other world series first-timers. Thirteen players are returning from the Black Sox's 2017 gold medal winning team, while Wellington infielder Josh Raemaki, who missed that tournament with a knee injury, played at the 2015 world series. Sorenson, Black Sox coach since 2014, said it had been "probably the hardest group to select. "That's a testament to the competition. Some really good ball players have missed out on the team. For a number of them, their time will come - that time is just not now. 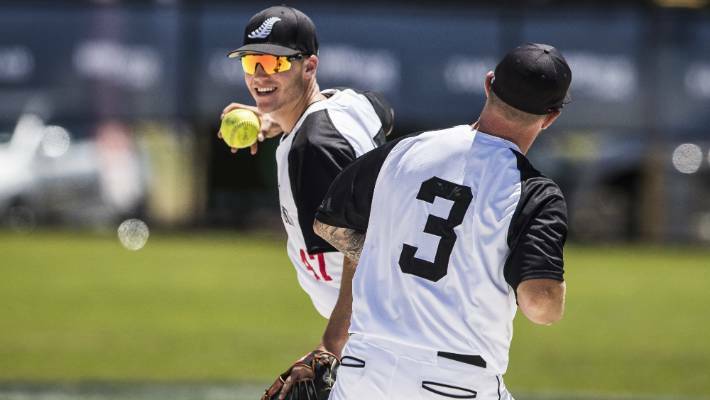 Nik Hayes (Auckland) and Josh Pettett (Wellington) - who combined to pitch the Black Sox to victory in the 2017 gold medal game against Australia - join Chapman on the pitching roster. With Auckland's Campbell Gibson troubled by injury this season, Sorenson and assistants Daryl Marino and Jim Wana have opted for three specialist pitchers, but can use Makea, experienced outfielder Thomas Enoka, and the left-handed Watt as backups. Enoka pitched for Samoa at the 2013 world championships and Makea was the Junior Black Sox pitcher in 2018. Black Sox shortstop Cole Evans (L) will be attending his third world softball championships at the age of 21. 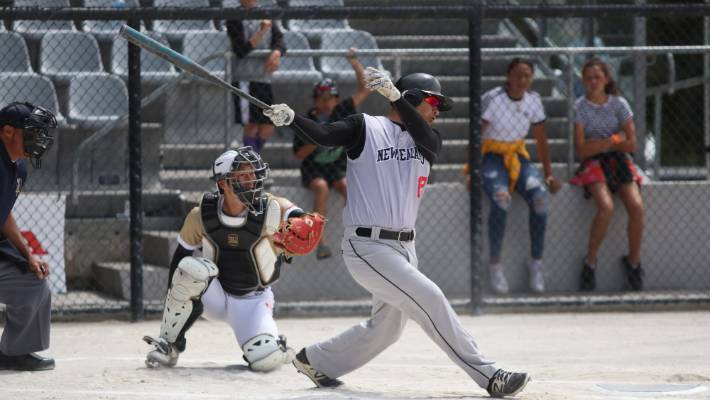 Hayes and outfielders Ben Enoka (Auckland) and Wayne Laulu (Wellington) are seeking a third winners' ring after being part of the 2013 and 2017 successes. "We challenged Josh, but he's done everything we asked of him," Sorenson said. The WBSC world men's softball championships will be held in Prague, Czech Republic from June 13 to 26. Nathan Nukunuku will be attending a record seventh men's world championship (2000, 2004, 2009, 2013, 2015, 2017, 2019).